Maybe you have heard your friends talk about a certain “Accent challenge”. So what is this accent challenge? Maybe you are just a curious reader out here looking for more about the challenge. Or you are an interested YouTuber who is looking for new and interesting content for your channel. Either way in this article I talk about the origin of the challenge and how to conduct it. Also, find some of the best Accent Challenges along with 150+ Tag Questions and Ideas!!! 1 What is Accent Challenge? Accent Challenge is originally from the social networking site Tumblr. The game is small and a bit old, but recently, it has shot into fame. It is a very common and popular idea among vloggers. Videos showing this challenge are going immensely popular within a short period of time. There are 2 versions of this gaem. The first one is the original Tumblr Accent challenge. The other one is the Ellen DeGeneres Show Tumblr challenge. This is the original version which became popular on Tumblr. You can either do this challenge with someone on video call or alone. In this challenge, the task is to read and answer a set of around 15 questions. Based on the way in which you read out the questions and answers, your friend determines your accent. Generally the challenge starts off by you saying your name and your place of origin. After that the question answer section follows, in which you use your accent to read and answer some common questions. They help in determining your accent. Later in this article, I have discussed some common accents, questions, and tag words which are popular for this challenge. If you see the Ellen Show in television or Youtube, then you are probably familiar with this version. It is a much newer and funnier version. Often the celebrity guests on the show play this game. This version is more about copying other acents irrespective of your origin. At first you have to write down the name of diffenet accents on diffenet pieces of paper. Then pick any one on random. You have to say something random in the specified accent within a minute. As we know, the world is home to a vast number of accetnsranging from regional to national. Based on the type of player, you can decide the accent on your own. For instance, if you are playing with your local friend, then some common regional accents will do. However, if you are playing with someone from another countyr, then naturally you have to use more popular and national accents. Check out this video to listen to 67 accents. Hereby I list a number of accent questions. For the challenge, you need to read and answer these questions. What is your name and username? What will you use to trim grasses? What terms do you use to call gym shoes? What do you call it when someone throws toilet paper on the house? Be a wizard or vampire? What is that bubbly carbonated drink called? 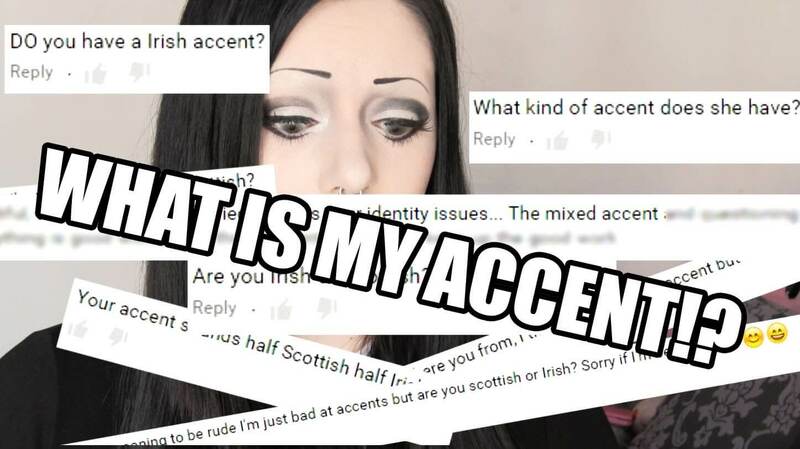 Do you personally think you have an accent? What do you call a body fragrance? What is the document that gets a visa stamp? Who will apply medications for accident victims? What will you use to feed a baby? Who preaches in a church? What do you do in a pool? What will you call a citizen of Australia? Where will you use an ATM card? What machine is used to do dishes? What do you call a close friend? What will you use to clean your teeth? Where do you dump refuse? What will you do in a bathroom? Where will you put cold food for it to get warm? What do you call the thing with wheels used to carry groceries in the supermarket? What is the first citizen of a country called? Where will a college student attend to obtain a higher degree? Where will you go to buy medicine? What do you call the clothing that women tie on the head? Who is responsible for advising students in a college? What do you need in the dark? What utensil will you use to drink water? Choose any book and read a random passage. What is the full meaning of e-mail? What will you call the daughter of your brother? Where do musicians stand to perform shows? What do you do with a fan? What will you use to type? Why would you need a knife? What will you enter to fly from one country to another? Where will you carry all your stuffs? What is the full meaning of MS word? What do you do with a bed? What will you call the head of a company? Where will you go to relax overnight? What do you call someone that cooks? What pet name do you call your spouse? How is the family head referred to? What do you use to change channels on TV? What do you do with a phone? Which is the most popular social network site? What will you obtain to travel to another country? What do you call the food you eat in the morning? Say any 3 words that come to your mind. Want to pronounce some hard and unique accents, trust me it’ll be more fun than you think. Below is a list of some questions that can help you in pronouncing some of the funniest accents. So, what do you call the place where foods are sold? Which is the one thing you do to score well in exams? What do you use to prevent skin disease? What is the thing you use to clean your hair? So, what do you use to protect yourself from rain and the Sun? So, what do you spread on burgers to make that tastier? What do you call the people who love to play? So, which app do you use to know the weather report? What do you say before going to sleep? What do you say to someone who needs support? So, what do you use to drink? What do you call the one who does not have shelter and foods? So people, who lead a luxury life, what do you call them? What do you call who works at the billing counters of shopping malls? Which sea creature do you eat? So, what do you call the place where wild animals are kept? Through which source have you come to know about your country and its culture? How do you communicate with the outer world? What do you wear on your foot to play soccer? So, what is the thing you have hidden from your parents? What do you call the food you eat in the afternoon? Want to you random tags. Look below, there’s a huge list of random questions which can help you in creating the funniest video ever. What do you call a short sleep in the afternoon? So, what do you call your partners? What will you need a chair for? So, what do you use to go up and down in a building? What is the place called where you get your spa done? What is the name of the person who examines train tickets? So, is there any name you use for ice creams? What do you use to capture an image? What do you use to purify drinking water? How do you change your TV channels? What do you say when you are pressed? How do you greet your parents early in the morning? What do you call the passenger’s seat beside the driver? Where do you serve your food? What do you call the sound made by birds? Who do you go to when you are sick? What greeting do you say when it is noon? What do you call the physical activity you do early in the morning? What do you call fried eggs? Apart from the accent tag questions, the player also has to speak some common words which can help to determine your accent. These are some common words, but you can also find and use some of your own. Try to use words which sound different in different accents.